The "bad" news is that I have ended my time away from the official workplace and will not be traveling around the world anymore. The good news is that I'll be consistently and reliably in Chicago for a while and able to stay on top of my blog and the Chicago food scene. For my "many" (jokes!) readers I'm sure this is a relief. Here's the best part, right before Erica and I left for Mexico our gate was right next to Tortas Frontera at O'Hare airport. 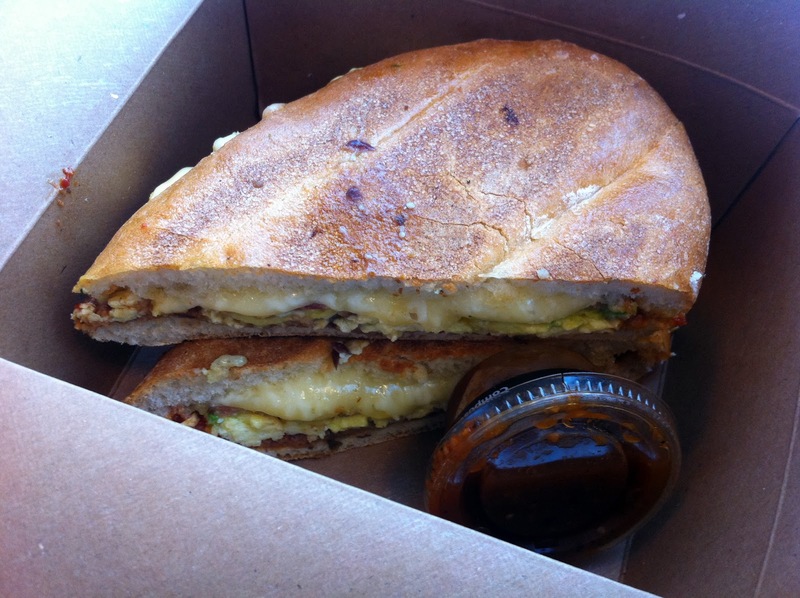 What better way the start the day and vacation than with some delicious Rick Bayless breakfast tortas?? The breakfast options are much smaller than the regular menu so next time I'm around I hope to try something different. No surprise, they are large, kind of expensive ($9) but quite tasty. They arrive in an easy to travel cardboard box and since we were on the run to our gate didn't have time to take better pictures. We ordered an Eggs & Rajas and Eggs & Bacon. Plenty of food, good flavors and tasty salsa to add. It sure beats the whatever panini from next door and is a nice change of pace from my usual airport breakfast of egg mcmuffin. But it's not super fast and the price is something to consider. 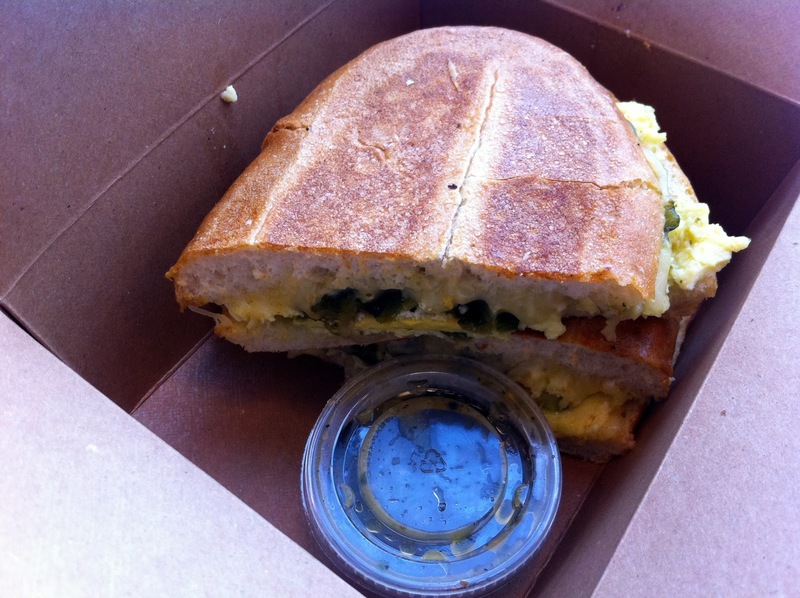 If you're hungry and in the mood for a real breakfast sandwich, TF is an excellent option. I might save my $$ for a lunch or dinner portion, but no surprise, Bayless as raised the bar for airport food.